Questions asked at Irish table quizzes. 1. What car manufacturer produces the Tigua? 2. How many medals has boxer Paddy Barnes won for Ireland? 3. In what year was Rosanna Davidson crowned Miss World? 4. What is the name of the dog in Peter Pan? 5. What is the most northerly capital in the world? 6. Who is Fianna Fáil’s Agriculture spokesperson, as of August 2012? 7. What is the capital of the U.S. State of Wyoming? 8. How many Olympics has London hosted since 1896? 9. What is the Republic of Ireland’s second highest mountain? 10. Hushabye Mountain featured in which musical film? 11. How many U.S. Presidents were assassinated? 12. What color is a Catholic cardinal’s hat? 13. Who was born Leslie Townes Hope? 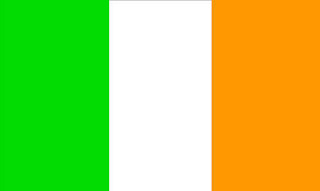 14. Who was the second President of Ireland? 15. What Zodiac sign is represented by the water carrier? 16. What was the name given to a camera was introduced in February 1900 by Eastman Kodak? 17. What is former Irish President Mary Robinson’s maiden name? 18. In what year did the West Clare Railway close? 19. Which cartoon bear would find in the 100 Acre Wood? 20. As of September 2012, who is the Chief Of Staff of the Irish Armed Forces?